In April, I took a trip to a couple flower markets in Carlsbad with Kimberly, flower guru and owner of The Dainty Lion & my wedding coordinator Samantha of Samantha Louise Moments, to brainstorm some blooms for my bridal bouquets! Going to the market with someone who knows the ropes opened my eyes to a world beyond roses and Baby’s Breath and really got my wheels turning on how I wanted my own wedding florals to look. 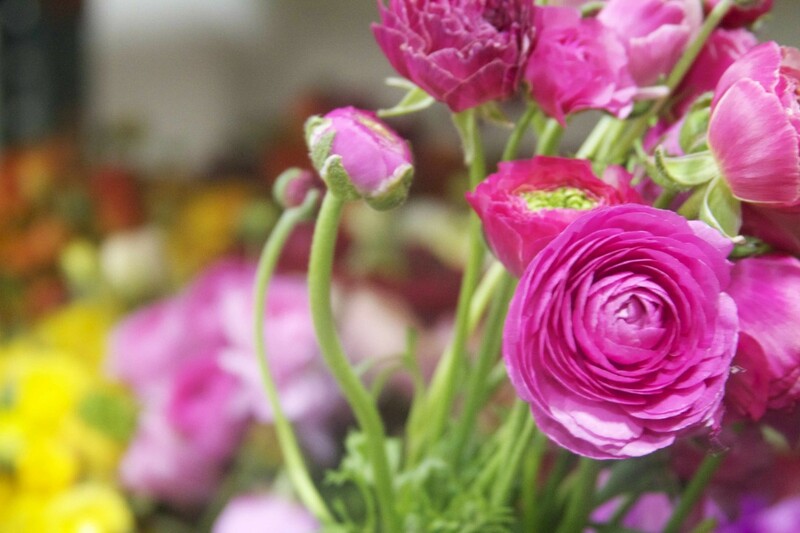 In season were ranunculus, which were blooming in full force. Kimberly said that this a great time of year to grab them up, as their main blooming season here in California is March through May. 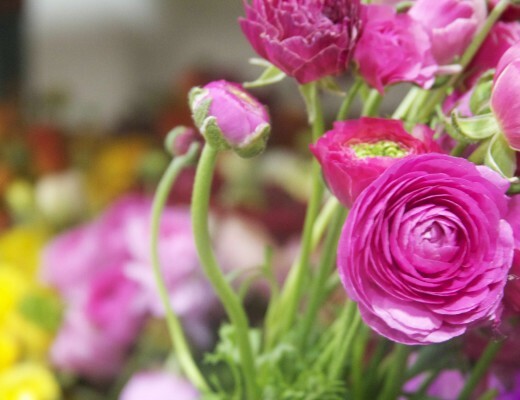 I had no idea ranunculus came in such a wide variety of colors! 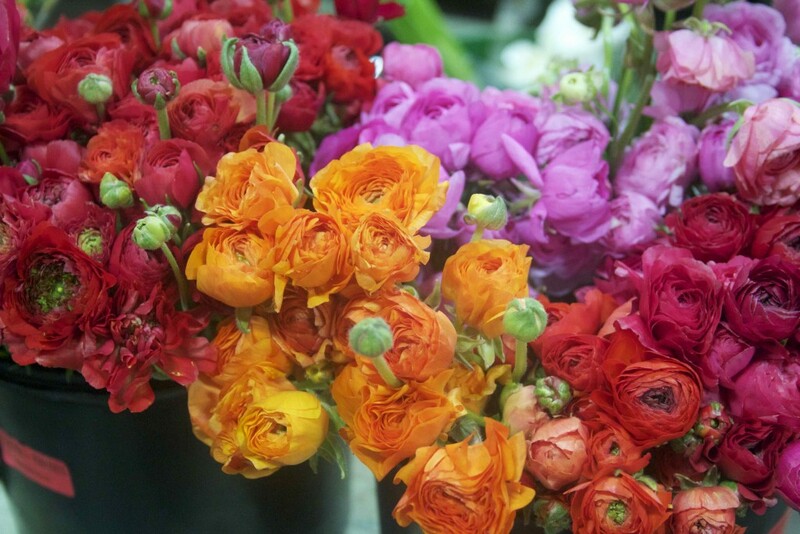 From bight warm colors, to a range of soft pastels and deep moody reds, there is room for these blooms in any bouquet. 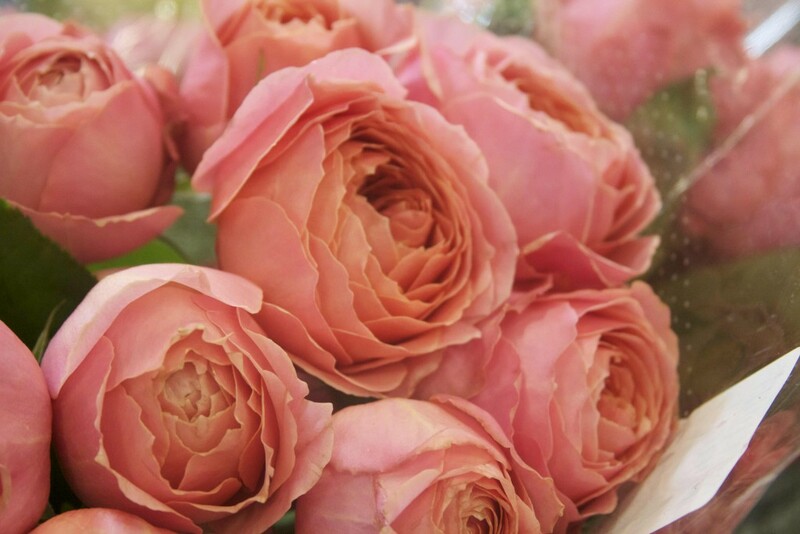 I never thought I was a rose person until one of our last stops, when I saw a variety of David Austin roses, which completely stole my heart. 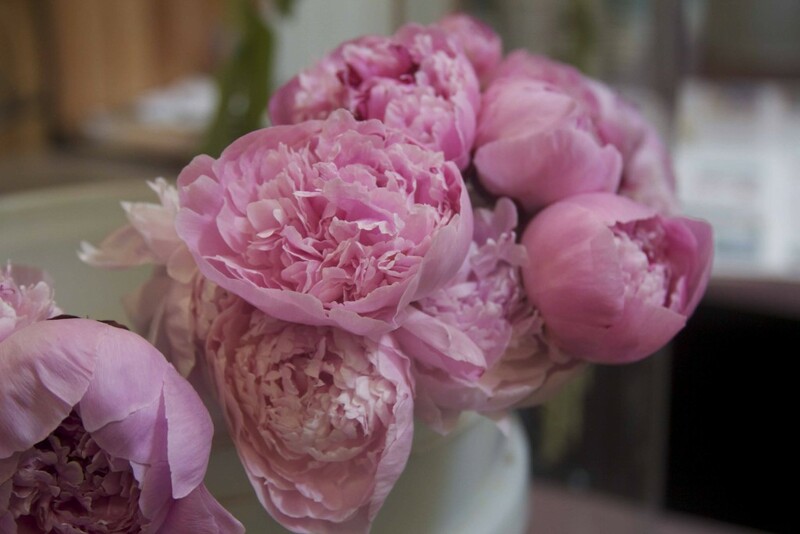 They are full like peonies, and not commercial like the standard “dozen red roses”. Both romantic and whimsical, these stems were some of the most stunning I’ve laid eyes on, and might have to remove the “no rose” request from my bouquet criteria! The lesson of the day was that of the protea! 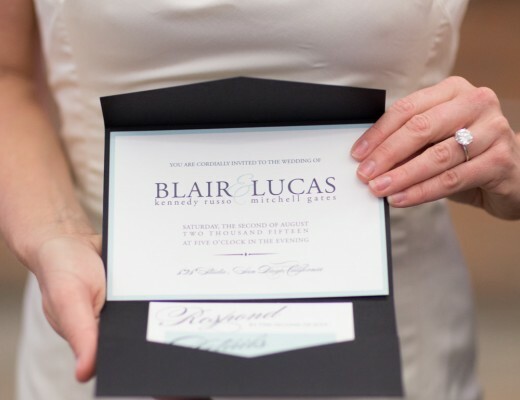 I’ve been seeing these popping up all over blogs and in weddings, so I couldn’t wait to learn more about these unique blooms! 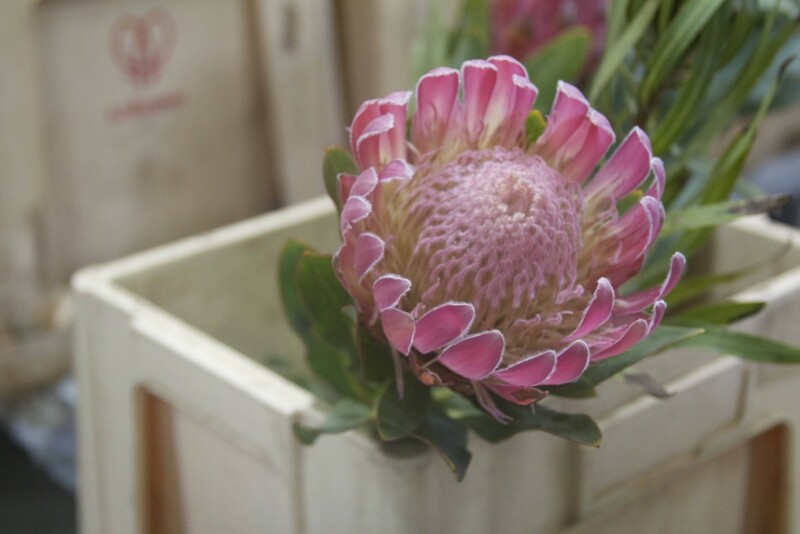 They are a favorite of Kimberly’s, and she said this is a very exciting time to visit the markets, because protea are out in full force. She recommends them for a great low maintenance arrangement. 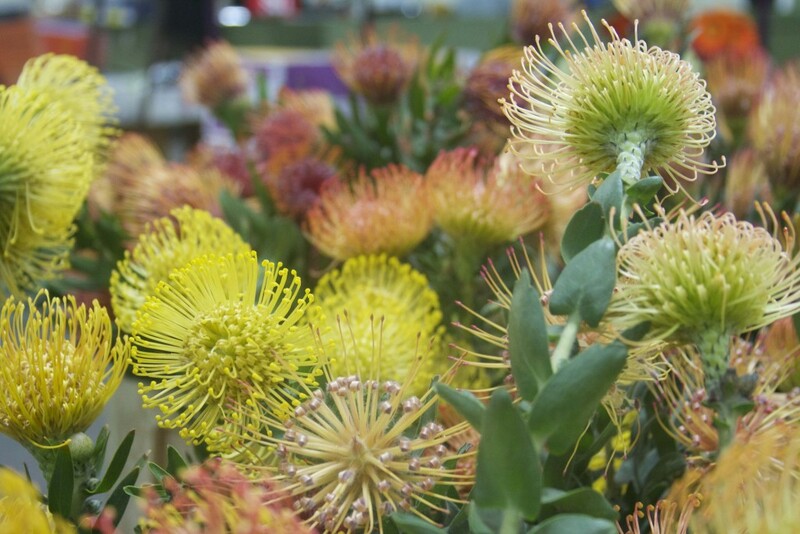 “Protea are great for those of us who want low maintenance flowers. With a wide variety of protea available you can create a complex and lasting bouquet to enjoy” Both eye catching and curious, protea are great for a bride looking to turn heads with her floral arrangements. I highly recommend stopping into the flower markets in Carlsbad for inspiration whether or not you’re in the market for wedding florals, or visit The Dainty Lion to “ooh and ahh” from the comfort of your sofa! These flowers are all so pretty!!! 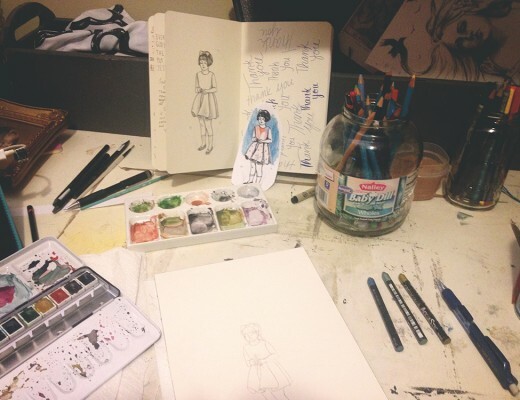 I love the tips she shared with you about caring for flowers. I’ll have to remember them when I get my next bouquet.